Considering recent articles on for-profit colleges and the State Authorization Reciprocity Agreement (SARA), a colleague recently brought my attention to one institution – Walden University – that was operating in his state. A quick glance at some headlines doesn’t paint a favorable picture. They’re a for-profit based in Minnesota, but weren’t on the list of SARA-authorized institutions in that state. It looked like the Minnesota Office of Higher Education (MOHE) had stripped them of their license and they had gained authorization in another state. Under SARA, this would allow them to educate distance learners in every state in the U.S. besides California. And if these guys were carrying out dubious practices, that would definitely be cause for concern. The fact is that it’s very hard to tell. In the ‘90s, Walden University offered the first fully online Master’s in Education degree. Currently they offer degrees from Bachelor’s to Doctoral levels in several areas of study. These areas of study are generally more professional than, say, anthropology or linear algebra. They include programs in business, nursing, education, IT, etc. The online college has been sold numerous times. It is currently owned by Laureate Education Inc., an international network of institutions of higher learning. As a business, Walden is a unique entity known as a for-profit public benefit corporation. They form a kind of halfway point between for-profits and non-profits. They can carry out practices that non-profits cannot, such as seeking funding or investments for the company’s own financial gain. But they also have a mandate to fulfill a public good. Upon looking further into Walden University, it appears like they have more in common with for-profit colleges than the alternative. For the past three years for which financial information is available, they received 73% of their total revenue from Title IV funding. By and large, that means Pell grants and other federal student loans. For-profits have historically exploited students’ access to federal loans as a primary means of driving profits. Until the crackdown on for-profits during the Obama Administration, it wasn’t rare to see an institution receive over 90% of their revenue from Title IV funding. 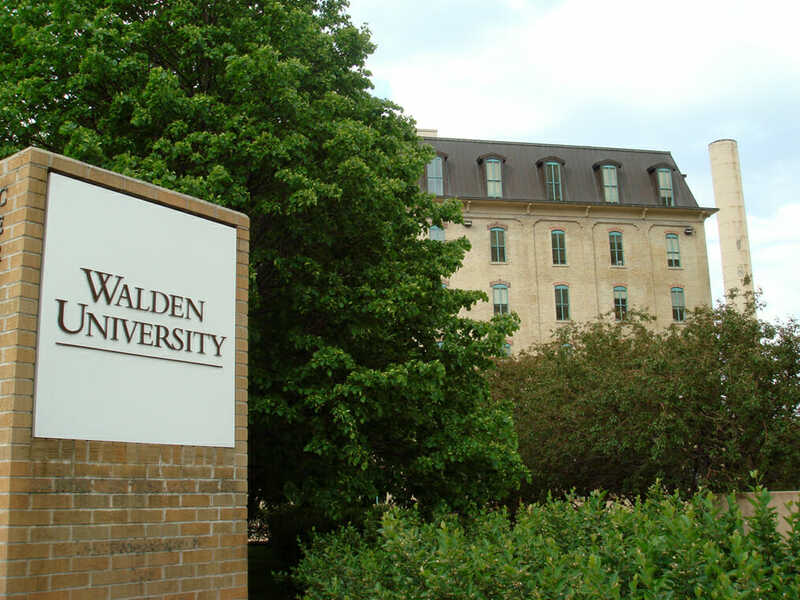 What’s more, according to a senate report, Walden spent just $1,574 per student on instruction in 2009 while they spent $2,230 per student on marketing. In the same year, they pocketed nearly $1,915 in profit per student. That’s not the only questionable use of their Title IV-driven funds. For five years, Walden had a celebrity chancellor on their board: former President Bill Clinton. He held the title of ‘honorary chancellor’ to be specific and delivered the commencement speech in 2011. For his troubles, Clinton received $17.6 million during his tenure. Compounding their balance sheet, several former students have sued them. In 2016, Latonya Thornhill filed a suit claiming Walden University had delayed her progress in her program. Charges included fraud, breach of contract, and unjust enrichment, and she was seeking class-action status. Former student Eric D. Streeter filed a similar suit in 2016 as well. Minnesota regulators also began looking into a spike in PhD candidate complaints in 2016. They are expected to release a report this year. But for one metric, Walden University students exhibit an astonishing success: they default on their student loans at about two-thirds the rate of the nation’s average. Based on these findings, regulators mandated that if a graduated student body’s three-year cohort default rate raises above 30%, the institution will lose Title IV funding (or if it goes above 40% for any single year). This is astonishing for another reason: in some programs, Walden University grads carry a high level of debt. In addition to default rates and other measures of graduate success, the DoE looks at annual debt-to-annual earnings (DTE) and annual debt-to-discretionary income (DTI). Minnesota Capitol Building. MOHE is expected to release a report on Walden this year. In all of Laureate Education’s holdings in the U.S., one degree program failed and 10 were in the zone. This represents 1% and 5% of all U.S. Laureate students, respectively. Walden University has many smackings of a predatory for-profit. They take a huge amount of their total revenue from federal student loans, numerous students have expressed discontent with their program via written complaint or lawsuit. Their authorization in their home state is under review. They’ve paid millions to Bill Clinton. Some of their students have worryingly high levels of debt. They spend much more on marketing than they do on actual instruction. And yet, something seems be working. Their grads are significantly less likely to default on their federal student loans than their peers at both non- and for-profit institutions. Walden did not respond to numerous requests for comment. Until the MOHE report emerges, the general public will be left with a major question mark.